There are hundreds of ways to “fall” (i.e. get to the floor) in modern or contemporary dance techniques and choreography. One of the most basic and frequently performed, however, is a controlled spiral to the floor. I teach this spiral, tuck and roll movement all the time in my own modern dance classes because even first-time dancers pick it up quickly with proper introduction and because it is a “safe” and controlled way to quickly and smoothly get to the floor. Oddly, I’ve found its explanation has been neglected online… until now! For beginners or those new to floor work in dance, I’ll break down and help you troubleshoot this spiraling roll to the floor. To keep things simple, I call the movement I’m about to explain a “spiral roll”. Contemporary dance terminology is often inconsistent so if this movement has an alternative name in your corner of the dance world, I’d love to hear about it in the comments! Begins with a lunge to the front or side. And allow the dancer to continue in any number of ways, including to spiral upward in another rotation or simply stand with weight on the opposite foot. In the class exercise by Lorienne Beals below, you can get a good look at the inward rotation of the back leg that folds the legs. The spiral action in this example does not continue – the dancer just rises to a standing position. 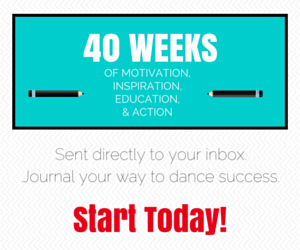 As with almost any dance step, this one can be broken down to its most fundamental movements and practiced for better understanding. Seated – A familiar way to practice spiraling is with a seated twist. We see variations of such spirals often in yoga practice. Twists, or spirals are a great addition to any warm-up. Lying down – Human beings first practice spiraling lying down. Infants, yet unable to walk but whose vision and grasp have greatly improved since birth, begin to reach for nearby objects. Their head turns toward the eyes, the opposite fingers reach toward the object, and suddenly a baby rolls over for the first of many times. These contralateral spiraling movements are reproduced in Bartenieff’s fundamental exercises and are very useful to the modern dancer. Standing – The standing spiral is most directly related to the spiral roll. In a wide second position, starting with one hip, begin a spiraling motion that twists the torso sequentially through to the cervical spine and includes the visual focus. The initiating hip causes the same leg to inwardly rotate. Observing this feeling of spiral while stationary will be key in helping dancers understand the direction and initiation of the roll. The relationship between the distal ends of the spine is also elemental in this roll. Dancers can learn to establish this connection by practicing flexion and extension of the spine. On the knees – Some teachers use animal imagery to help children fine their head-tail connection. Looking at the belly button while arching the back might be a cat or a camel. Sinking the belly button toward the floor while the head and tail reach to the sky could be a puppy or a cow. Standing – Dancers can also practice this head-tail connection while standing. As I’ve noted, for some students the mechanics of this roll come easily. For others, there are common mistakes made when a beginner tries a spiral roll for the first time. Below are the ones I see most frequently. Landing on the knee. As you fold the legs under you, avoid coming down on the knee as you would in a kneel. Instead, aim for the side of knee/lower thigh. How to correct it: Practice the standing spiral and remember that feeling of crossing in the upper, inner thighs. Spiraling to the toes. Beginners sometimes start their twist in the upper body instead of initiating with the hip. The legs do not fold correctly and the dancer crouches and tries to spin on the toes instead of bringing the pelvis to the floor. How to correct it: Practice the standing spiral and focus on the hip initiation. Do it each time with a wider stance that brings you closer to the ground – you’ll see, you don’t need to involve the feet. Keeping the spine erect. 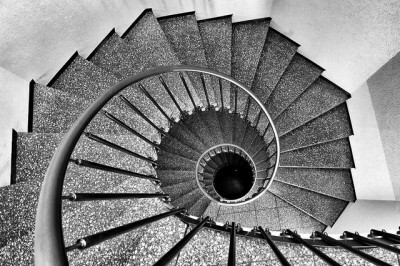 Many beginners understand the spiral that gets them to the floor but they forget to curve the spine. The spiral roll flows more smoothly if you create a ball-like shape with your body. How to correct it: Practice bringing the head and the tail closer together as soon the spiral and folding of the legs begins – don’t wait until you are already sitting on the floor to think about the spine. Not following through. Transitioning from this roll can be the most challenging part for beginners. Don’t “pull the plug” as soon as the roll is complete. How to correct it: Follow through with the momentum and direction you’ve established from the beginning to flow into whatever is next. Once you’ve got the spiral roll itself, practice it with special focus on how you unfold – if possible, continue the spiral or rotation and concentrate on uncoiling the spine. Hopefully this breakdown helps you master the spiral roll. If you missed it, we’ve also covered another fundamental contemporary dance movement, the spinal roll-down, as well as other steps and basic technique. What are some others you’d like to see broken down? Excellent and thorough, Nichelle! I have never seen it broken down that simply. And always good to address what could go wrong! Hi I’m doing an awards dance at my studio. I’ve been dancing my whole life but only ballet… The awards dance is contemporary and begins with an attitude that goes into a spiral roll then to the knees. I’m confused on the transition from the attitude to the roll. Should I fold still or fall on to the side of my knee/upper thigh? Hi Katelyn, I can only really guess based upon what you’ve said but I’m going to assume that it’s probably a standing attitude back. If I wanted to make a smooth transition to the floor for a roll from there, I would plié on the standing leg while rotating/twisting my spine so that my attitude knee folds inward toward the standing leg (that side’s shoulder or hand may also twist toward the floor). With that folding inward, you can bring the outside of that knee and hip to the floor and continue the roll over the lower back as depicted in the article above. The deeper the plié, the less of a drop it is to the floor. Are there OTHER ways one could make that transition? Sure. And so, I would ask someone familiar with the actual choreography to explain and demonstrate it for you – maybe before or after a rehearsal! Asking is always better than practicing it incorrectly! Extremely useful information. Thank you for sharing! We call this a tuck and roll in England.